Just one day before the annual Netroots Nation gathering this year being held in Detroit, Michigan. The LGBT Netroots connect program run by Mike Rogers Managing Director of Raw Story Media Has brought together over 120 of the best and brightest LGBT activist, journalist and bloggers from across the country, Canada and Mexico to discuss the future of the LGBT movement and the ways in which our actions impact it. 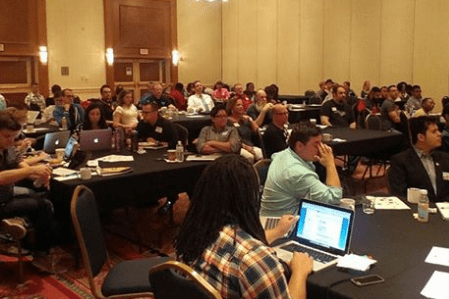 Founded in 2008 as the National Blogger and Citizen Journalist Initiative, LGBT Netroots Connect develops programs that bring online and offline activists and leaders together to create change.